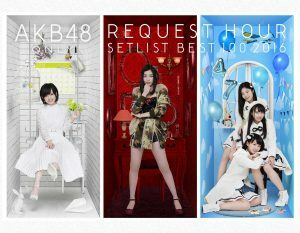 2ch says: What is common among first-time wota at concerts & performances? If you are a newcomer to an AKB48 theater or concert performance, do you ever worry about what to do, and how to act? One 2ch user asks the question, “At theater concerts and performances, what actions make think that a wota is not really accustomed to their surroundings?” Everyone is a first-timer at one point, and 2ch users comment on their experiences. How far will you go for your favorite idol? Perhaps buy a CD or two? 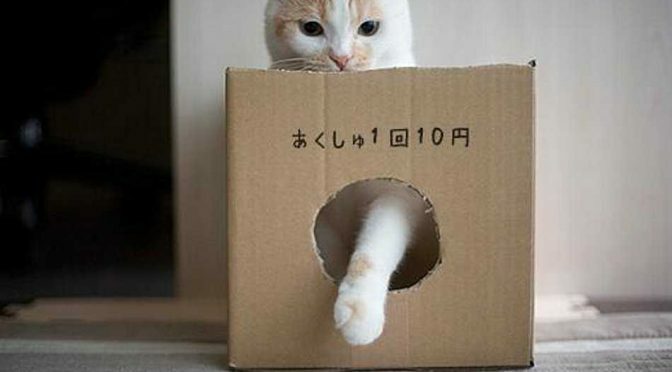 Cast a vote here and there? How about uprooting your life, and moving across the country? That’s what motivates one wota, as he seeks advice for getting closer to NGT48’s Kato Minami. This is a very short message thread, but it begs the question: would you feel comfortable seeing your favorite 48-group member kissing a male, albeit in a drama or movie scene? A handful of Japanese netizens ponders the pros and cons of removing 48-group’s strongest front runner from the annual election. 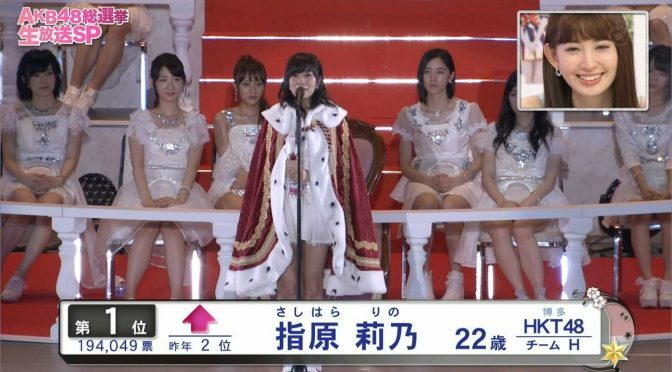 What would happen if Sashihara Rino did not participate in the AKB48 Election? 2chan says: What is the point in not participating in the election? This year’s election has brought with it a good number of non-participants with popular and unpopular members alike. While wota may not have full insight on what goes on in an idol’s life, non-participation still begs the question: what is the advantage, if any, of choosing to not partake in AKB’s annual election? 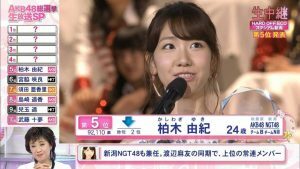 Do you remember last year’s broadcast of the AKB48 election on Fuji TV? オne wota laments to woes of last year’s television viewing, and looks forward to this year’s broadcast with some understandable trepidation. 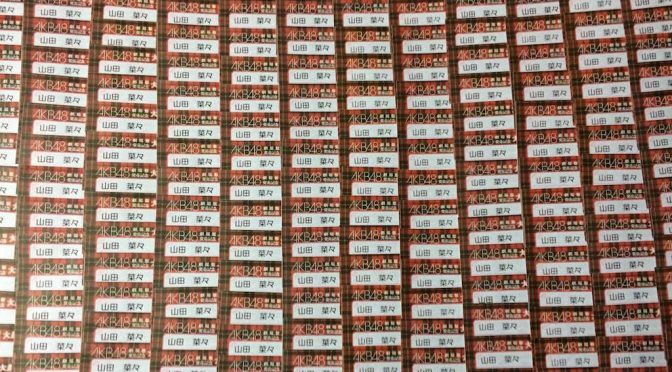 2chan says: Why can’t they just sell handshake tickets directly? Handshake tickets started out as a bonus special incentive included with the purchase of CDs. 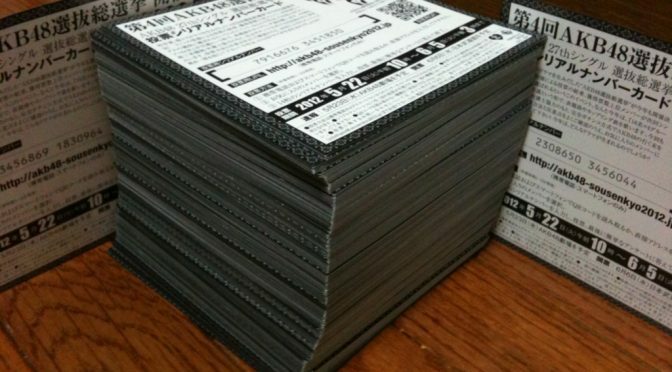 Nowadays, with wota buying CDs for the very specific purpose of obtaining said handshake tickets, one 2ch user asks: why don’t they just sell the handshakes tickets, and save yourself the expense of a CD? 2chan says: I want to meet members randomly in the street. What should I do? 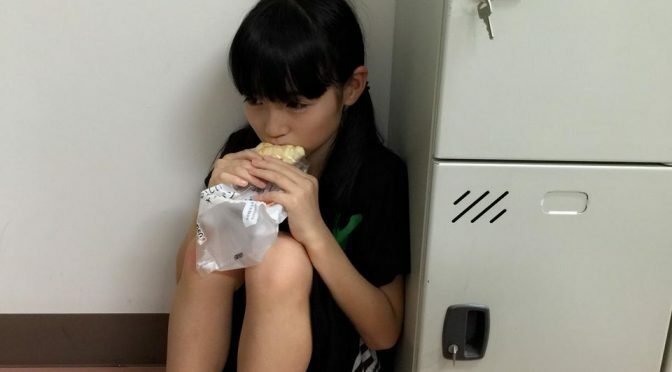 Here is a relatively unusual thread to a relatively unusual question, posed by one Japanese netizen: if I really wanted to somehow coincidentally meet AKB48 members out in public, how would I go about doing it? 2chan says: When did you start losing your enthusiasm for AKB? Just as members graduate from their respective groups, wota have been known to “graduate” from their respective fandom. It can happen for a number of reasons, and one 2ch user asks: When did you start losing your enthusiasm for AKB48? 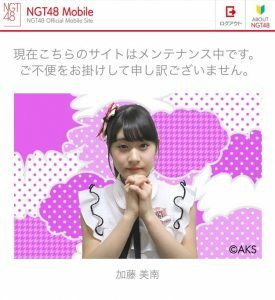 According to one 2ch user, AKB kenkyuusei, or “research students”, are not allowed to use their cell phones while in dressing rooms, or backstage. The discussion that follows argues the pros and cons of such a rule. 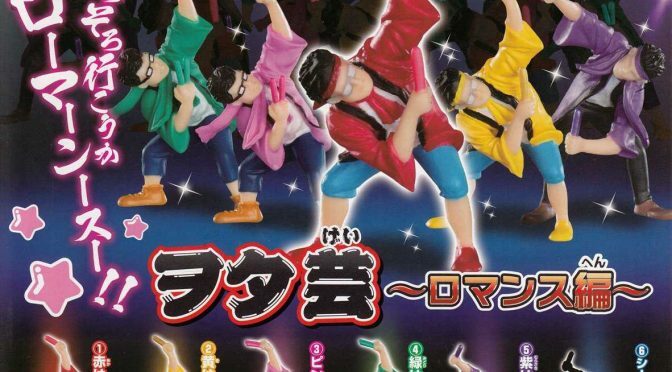 Should kenkyuusei be allowed to use their cell phones before becoming full fledged members? 2chan says: Do you tell people that you are an AKB otaku? 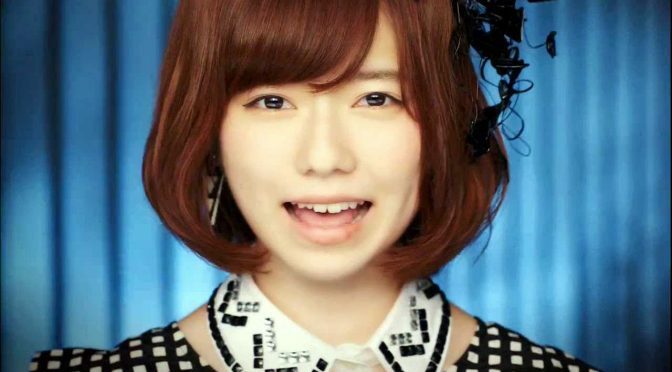 Is your love of AKB48 out in the open? Or are you a “closet” otaku who keeps their fandom to themselves? 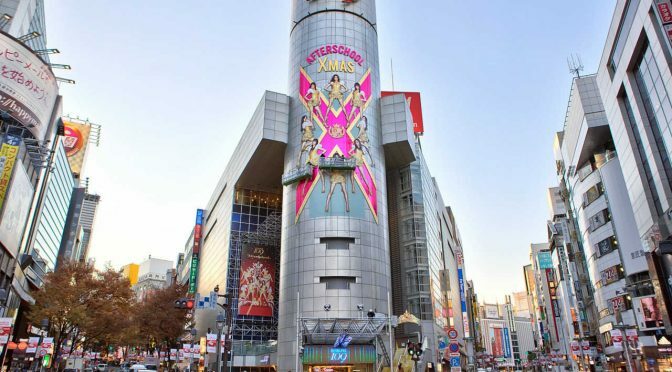 One Japanese netizen wonders the same: do you tell people that you are an AKB otaku? Do you have a collection of AKB photos? Or perhaps a collecting habit to begin with? One idol wota struggles with the collector’s dilemma: he has thousands upon thousands of AKB photos, and wonders what it all meant. Join Japanese netizens as they chime in on this wota’s woes. 2chan says: what do members think of fans who use only 1 handshake ticket? 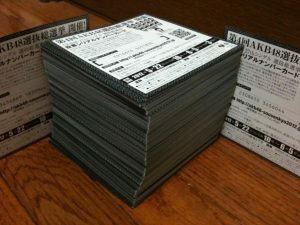 A practice at 48-group handshake events is to combine several tickets at once to get more time with your member of choice. It has become so common, that one 2ch user asks: do members react differently to fans who only use a single handshake ticket? The question implies a lot of things about the handshake ticketing system, and the wota who buy into it (multiple times!). 2chan says: When did the election become such a meaningless event? Akimoto’s been known to say that AKB48’s annual election is a “festival”. Whether you agree or not, one 2ch user asks a question which suggests a much more extreme position: that the sousenkyo is a meaningless event from which most members do not gain anything. 2chan says: Anyone picked their oshimen based solely on performance skill? One 2ch user suggests that most fans pick their favorite Japanese idol based on looks or character alone, and not the strength of their performance. Do you agree? Follow along, as other 2ch users chime in. HKT48's Miyawaki Sakura has become too skinny? Disclosure: The items in this section below are affiliate URLs, which means that we may receive a portion of proceeds if you make a purchase using these links.